The history of the duck is as varied as the many different breeds. In the beginning, there was the Mallard. Wild Mallards range throughout temperate and subtropical North America, Europe, Asia and South Africa, and they have for thousands of years. As John H. Robinson explains in his book, Our Domestic Birds: Elementary Lessons in Aviculture (1913), unlike other wild ducks, “The Mallard takes very readily to domestication. Although in the wild state it is a migratory bird, in domestication it soon becomes too heavy to fly. After a few generations in domestication, it loses its power of flight and cannot be distinguished from stock that has been domesticated for centuries.” All modern breeds around the world, except for the South American Muscovy, are descendants of wild Mallards (Anas platyrhynchos). 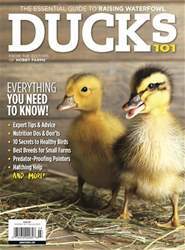 Specifics about duck domestication are spotty. We know the Chinese farmed domestic ducks during the early Han Dynasty (206 B.C. 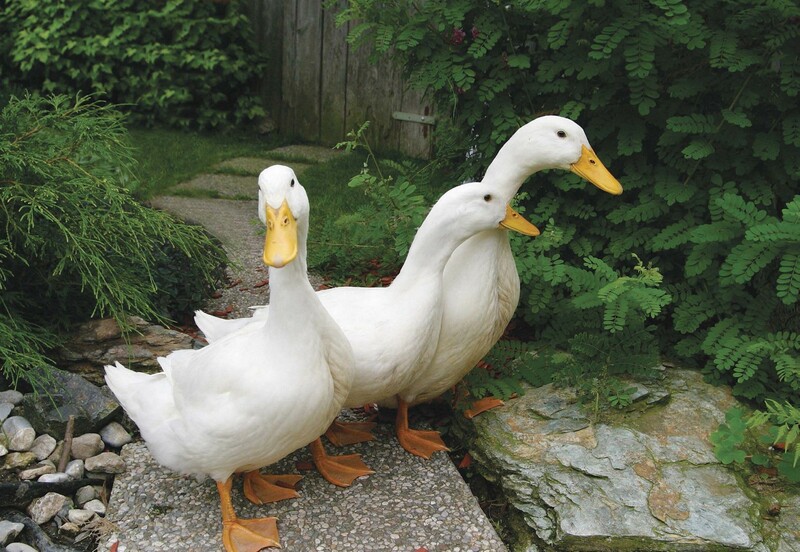 to A.D. 220), but based on clay figurines unearthed in China, ducks might have been domesticated as early as 3000 B.C. Historians agree that Southeast Asians domesticated Mallards in many separate locations. That didn’t occur in the West until much later.